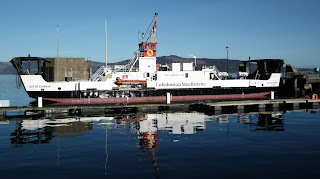 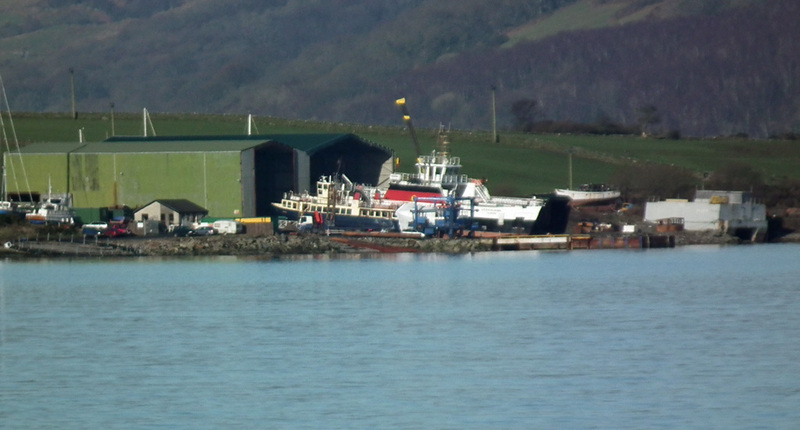 Caledonian Macbrayne's Isle of Cumbrae lies at Rothesay after slipping at Ardmaleish 06 February 2012. 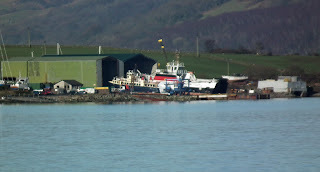 Have they forgotten to finish the paintjob? 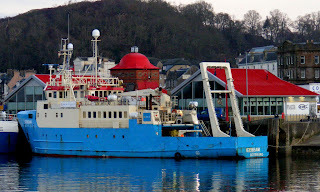 NLB vessel Pole Star lies at Oban's Lighthouse Pier 03 February 2012. 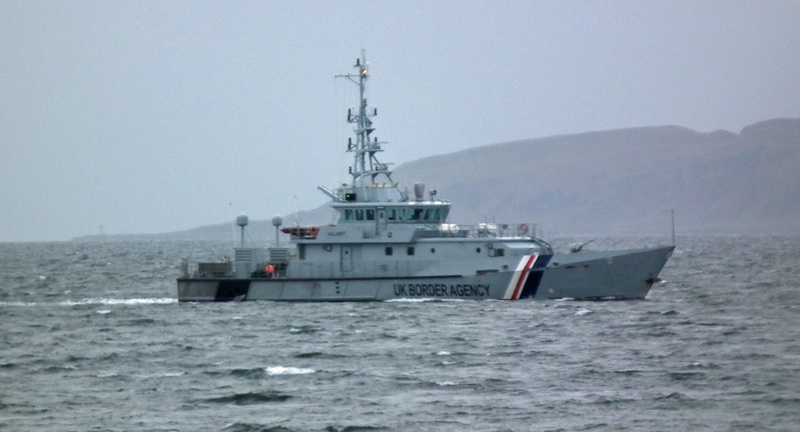 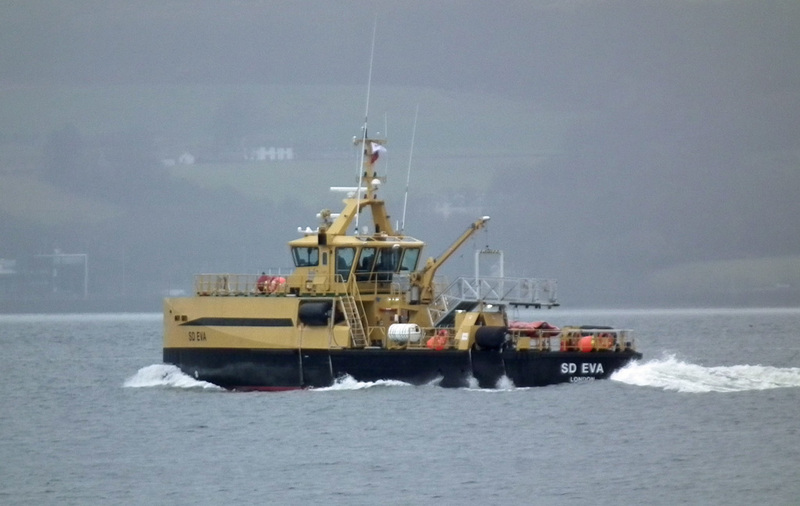 Serco's crew transfer vessel SD Eva en route for a later rendevous with an SSBN, 05 February 2012. 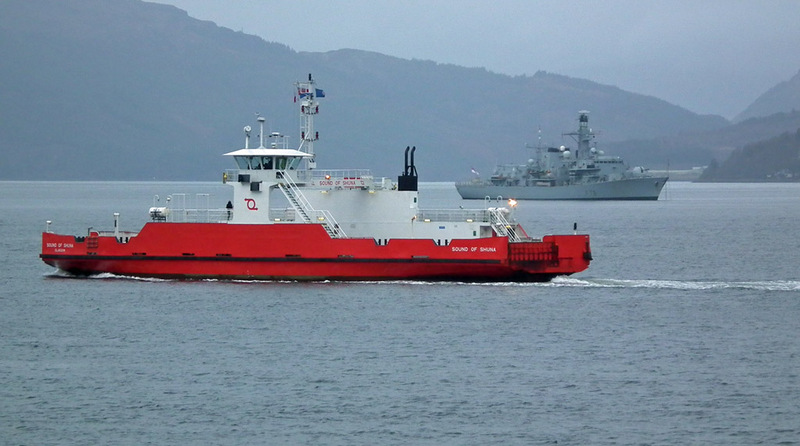 Type 23 frigate HMS Kent (F78) off Gourock 05 February 2012. Caledonian Macbrayne's Loch Shira undergoes repairs at Largs Pier 04 November 2011. 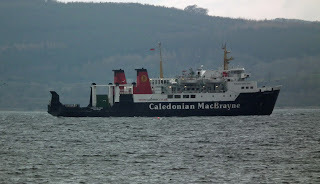 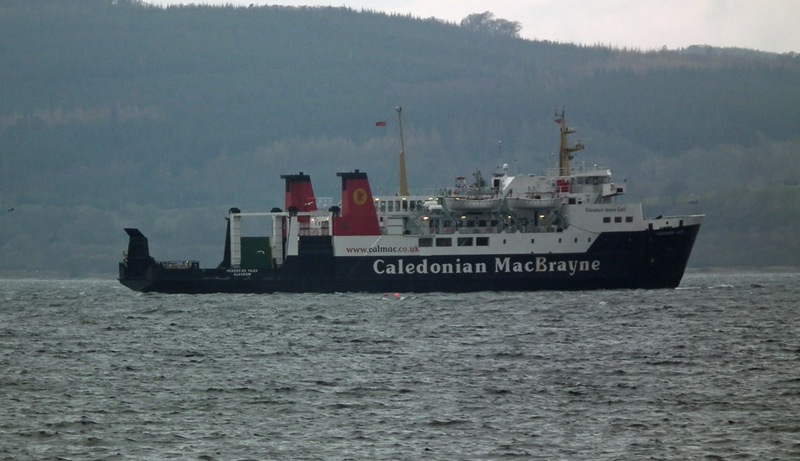 Caledonian Macbrayne's Hebridean Isles heading for Garvel Drydock 13 November 2011. 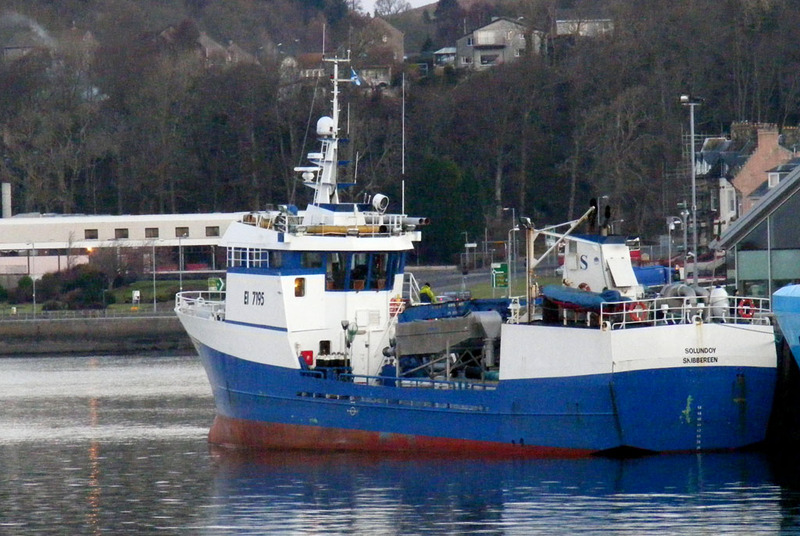 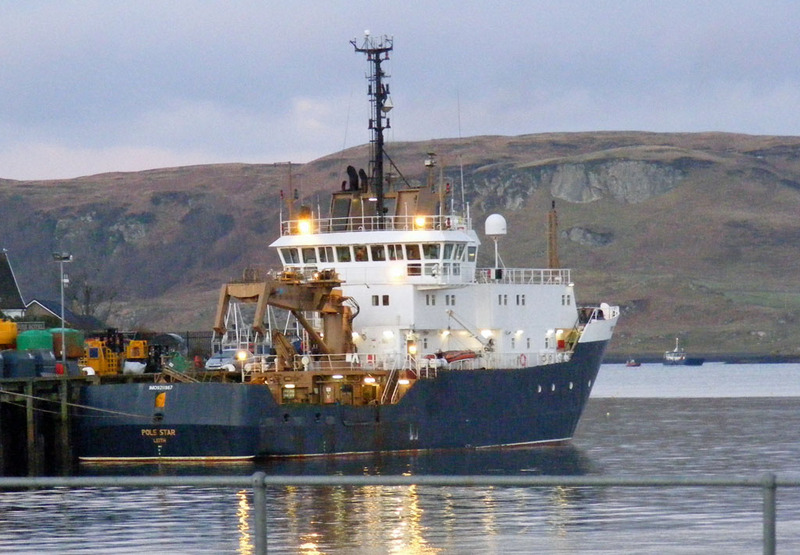 Live fish carrier Solundoy at Oban's North Pier 03 February 2012.